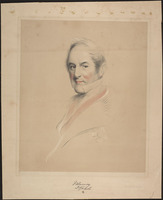 PRESCOTT, Sir HENRY, officer in the Royal Navy and colonial administrator; b. at Kew, England, on 4 May 1783, son of Admiral Isaac Prescott; m. in July 1815 to Mary Anne Charlotte d’Auvergne by whom he had at least one daughter, the poet Henrietta Prescott Lushington; d. in London on 18 Nov. 1874. Henry Prescott entered the Royal Navy in 1796 aboard Formidable; he was commissioned lieutenant in 1802 and promoted commander in 1808. Most of Prescott’s naval service during the Napoleonic wars was in the Mediterranean; in fact his rapid elevation to post rank in 1810 was a reward for gallantry at Amantea, Italy, in the same year. Captain Prescott was on naval duties in Brazilian waters and in the Pacific until 1825 when he returned to England and was paid off. The last of the 19th-century naval governors of Newfoundland, Henry Prescott received his appointment in 1834. He arrived in St John’s on 3 Nov. 1834, the week of Thomas Cochrane’s departure, an exodus which must have warned him that the eminence of his position would not necessarily protect him against mud-slinging opponents. Prescott inherited from Cochrane a disturbed social and political situation. 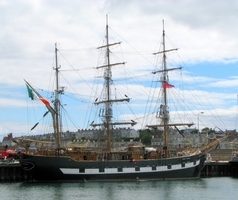 It was scarcely possible for the new governor to set a foot in the right place in a colony where Anglo-Irish quarrels were complicated by Catholic-Protestant enmity, and which was embittered by disagreements between merchants and fishermen and by West Country versus native rivalry for public office. Prescott immediately sought ways to reduce the political and religious tension in the colony; he discontinued the libel case which Cochrane had begun against Father Edward Troy, and tried deperately to play the role of a disinterested administrator between the opposing factions in church and state affairs. 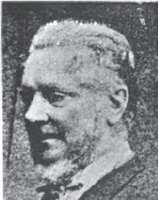 His neutral position was soon compromised, however, by the unseemly quarrels between the Catholic bishop, Michael Anthony Fleming*, and Chief Justice Henry John Boulton*, the uncompromising spokesman of the establishment. Boulton, a Protestant, urged a revision of the laws governing fishermen and merchants which would be favourable to the merchants, whereas Bishop Fleeting supported the local fishermen. A quarrel between a Protestant firm, Slade, Elson and Company, and Catholic fishermen at St Mary’s in 1835 precipitated an open conflict between the chief justice and the bishop. Prescott, a man of compromise, considered both dangerous. He had at first established friendly relations with the bishop but within a year of his arrival he was embroiled with him and was openly accused of being a captive of the merchants who dominated the colonial economy and the Executive Council, such as John Munn, Thomas Bennett, and William Thomas*. The judgement of D. W. Prowse* that Prescott “disliked Boulton, but appears to have been either unable or unwilling to control him” is far from accurate, for the governor with a letter to the colonial secretary, Lord Glenelg [Charles Grant], on 5 Jan. 1838 initiated proceedings leading to the removal of the fractious chief justice from the bench and the council on 5 July. 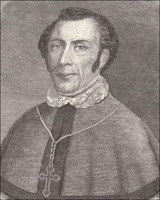 Prescott also encouraged the home government to seek the removal of Bishop Fleeting. In the latter attempt he was unsuccessful and the attempt increased his disfavour among Catholic radicals. Prescott nevertheless participated in later efforts of the home government to induce the pope to remove Fleming. In 1840 only the spiritual accomplishments of the bishop saved him from dismissal, and it appears that following his summons to Rome in that year his political influence declined. Prescott’s administration must be judged within the context not only of the problems which troubled all British North American colonies in the 1830s, but also of Newfoundland’s limited experience in constitutional government. A legislature had been functioning for barely two years when Prescott arrived, and the problems which bedevilled his rule were part of the warp and woof of the colony’s life. He was damned by either side for his part in the removal of Boulton and the silencing of Fleming; by the Catholic-controlled assembly (after 1837) for his partiality to the Protestant-controlled council, and by the latter for his appointment of the Catholic radical, Patrick Morris*, to the council in 1840 in an effort to improve the Catholic position on that body. 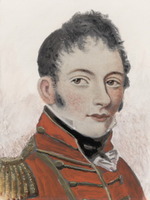 He was criticized by the Colonial Office for advocating an improvement of the garrison to aid the civil power (although there was a lack of police and a continuing situation of danger), and yet also for not sending troops to Bay Roberts during the highly disturbed election of 1840 in time to prevent an outbreak of violence. There were certainly achievements in his régime: the setting up of the first non-denominational elementary schools in 1836 by the first education act in Newfoundland, a continuation of Cochrane’s road-building efforts and in 1837 the appointment of the colony’s first road commissioners, and the encouragement of agriculture to supplement the unpredictable fisheries. But these were supported, opposed, or evaluated on narrow political and religious grounds. That Prescott was not a trained colonial administrator is obvious, but that he possessed considerable sagacity and judgement is indicated by his important dispatch of 4 July 1839 to Lord Normanby [Sir Constantine Henry Phipps], in which he set forth what was, on the whole, a prudent policy to meet the degenerating political situation. Prescott called for an imperial act to enforce the provisions of the Newfoundland Representation Act of 1834, so that Newfoundland would be divided into more districts and a property qualification for representatives in the assembly would be established. By a supplementary letter he recommended simultaneous nomination and polling days throughout the colony. In 1841 Prescott was in England to participate in a parliamentary inquiry, which subsequently led to a modification of Newfoundland’s constitution. The Colonial Office did not accept his advice on the reform of the constitution, and on principle Prescott resigned again in May. This time his resignation was accepted, partly as a result of the home government’s agreement with Sir Richard Henry Bonnycastle*, who supported the appointment of a civil administrator. Prescott was succeeded by Sir John Harvey*, and returned to naval life. Prescott was awarded the captain’s good service pension in 1841, promoted rear-admiral in 1847, and for a few months was a lord of the Admiralty until in December he accepted the post of admiral-superintendent of the Portsmouth Dockyard, which he held until 1852. He became a vice-admiral in 1854, an admiral in 1860, and admiral of the blue in 1862; he was nominated kcb in 1856 and gcb in 1869, and for a time was jp for Surrey. PRO, CO 194/90–194/111. Times (London), 20 Nov. 1874. DNB. G.B., Adm., Navy lists (London), 1844–74. 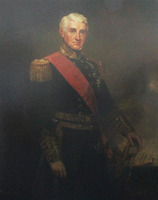 John Marshall, Royal naval biography . . . (2v. and supps, London, 1823–30), supp. 2, 197. O’Byrne, Naval biog. dict. Gunn, Political history of Nfld. Prowse, History of Nfld. 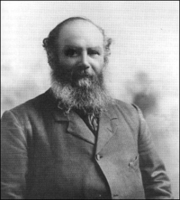 Frederic F. Thompson, “PRESCOTT, Sir HENRY,” in Dictionary of Canadian Biography, vol. 10, University of Toronto/Université Laval, 2003–, accessed April 24, 2019, http://www.biographi.ca/en/bio/prescott_henry_10E.html.